The environmental protection pressure from top management in China has made the entire industry take responsibility for the balance of economic development and waste treatment. Although many feel the short-term effects, ultimately China made the right choice in implementing change for long-term benefits of the industry and the environment. 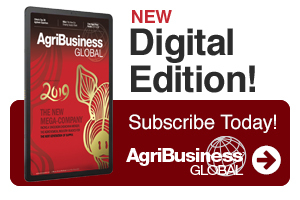 Syngenta and ADAMA are China’s examples of future modern agrichemical industry players. After SinoChem merges with ChemChina, the state-owned companies will be the new leaders of China’s pesticide manufacturing. It will drive the whole industry to the “Next Generation” of supply. Now is the time to plan for the future – not for 2019 but for three to five years from now – and a critical opportunity exists to establish new cooperation with China suppliers. Global crop protection companies need to enhance the competitiveness of the supply chain by collaborating with China. But as we all know, change is not easy and requires a new approach and an open mind to procurement of products from China. One option to consider is to enhance the relationship with state-owned companies. On the surface, this may seem counterintuitive. But stock market-listed companies are the better partners than private companies, as they are under more scrutiny to follow compliance and are more likely to have stable production. Moreover, the China financing system is moving to the scaled companies as well. Every organization needs to mitigate risk based on unstable global economic growth and the transformation of China. Alternatively, China’s agrichemical regulation, essentially limiting expansion of production in-country (volume), further enhances the entry barrier. Only a few manufacturers can now invest in new active ingredient projects and novel co-formulations. The transition to working with state-owned companies will not be flawless. Global crop protection companies may face difficulty in the cooperation with state-owned companies, as the Chinese cherish the purchasing quantity and loyalty of larger partners. The scale of purchasing will limit leverage for smaller global customers. And loyalty is a delicacy to explain in Chinese culture. It will decide if the global customers would have strong support from state-owned companies or not. The basic status increased the “Opportunity Cost” for global crop protection companies to manage strategic their supply chains. Let’s examine the effect of the transformation, which illustrates the new M&A activity in China manufacturing. ChemChina merged with ADAMA and Syngenta, and there is a high possibility that ChemChina and SinoChem will soon join. Yang Nong, Sanonda, Anpon, Dacheng Bio, and Huifeng will collaborate in one “system.” ADAMA and Syngenta will drive the system to have more competitiveness on the supply of active ingredients. Yang Nong Chemical seems to be emerging as the most competitive manufacturer in such a new system. In 2018, Yang Nong had a net-profit increase of 57% compared to its 2017 financial report. Aside from a large capacity of pyrethroid pesticides, Yang Nong will build new 3,800 mt/year capacity of bifenthrin and 1,000 mt/year capacity of fluazinam. Together with the supply of dicamba and glyphosate, Yang Nong was reportedly overwhelmed with purchase orders from overseas and local customers. In January of 2019, ADAMA and Huifeng signed an MOU to acquire Huifeng’s crop protection business. The end result: Huifeng’s capacities of prochloraz and dimethomorph will be releasing soon. Having many years of cooperation with BASF and ADAMA, Huifeng has an advanced process to enhance its capability. It is very good position for ADAMA to control its supply chain and China resource. Dacheng Bio just finished a new plant establishment in Zibo. The new production line of chlorothalonil will be running in 2019. The new capacity could help stable the supply of chlorothalonil. In 2018, the production of chlorothalonil from Jiangsu-based suppliers encountered problems with production safety. It caused the shortage of chlorothalonil supply and rising prices. Even though XinHe has 20,000 mt/year capacity, they need to keep the consistent supply to their key accounts and loyal customers. If global crop protection companies want to have risk aversion, the timing could be right to consider Dacheng Bio to establish long-term collaboration on chlorothalonil. The new leadership of Dacheng Bio incorporate a long-term view of its development strategy. Dacheng Bio should grow due to its leadership and support by ChinaChem. Regarding the M&A of listed pesticide companies in China, Limin Chemical is the most strategically positioned. This is mainly due to the Limin’s collaboration with China capital. China capital has helped Limin to create a strategic approach to the entire value chain of their key products like Mancozeb. Limin has 35,000 mt/year capacity of Mancozeb. Xinhe Chemical Co. Ltd. has 20,000 mt/year capacity of chlorothalonil – in which Limin has 43% stake. In protective fungicides manufacturing, Limin is the No.1 in China. Moreover, Limin acquired Veyong for 780 million CNY at the end of 2018. They will have Veyong’s abamectin/emamectin, benzoate, and glufosinate production in future. Limin needs to utilize its capacity and portfolio, investigate the global market, and penetrate it more deeply. We can anticipate capacity increasing from the China agrichemical suppliers beginning in 2020. India is a good choice to manage the risk of China supply, and new investment of overseas manufacturing is also under consideration. But global crop protection companies need to remember the key factor growth of crop protection shall be innovation combined with flexibility of production. Without question, China still has the most significant potential, and it will be enhanced by China’s younger generation of scientists of chemistry and life sciences. 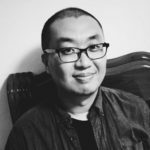 David Li is Business Manager with Beijing-based SPM Biosciences Inc. See all author stories here.